PS Waverley's first sailing of the 2019 season. Departing from Glasgow to Loch Striven via Greenock, Largs and Rothesay. 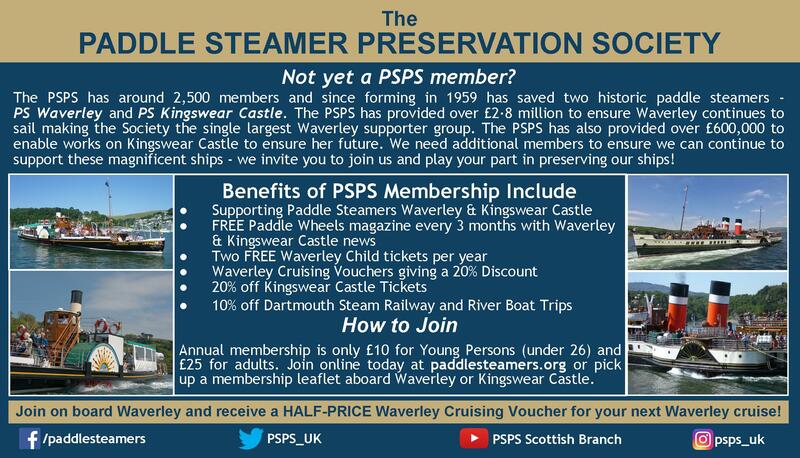 For tickets and further information visit the Waverley Excursions website here.